Hole Maps are zoomable maps of each hole. Hole map pages include par & distance information. The Course Map is a zoomable map of the entire golf course to help players navigate from hole to hole. 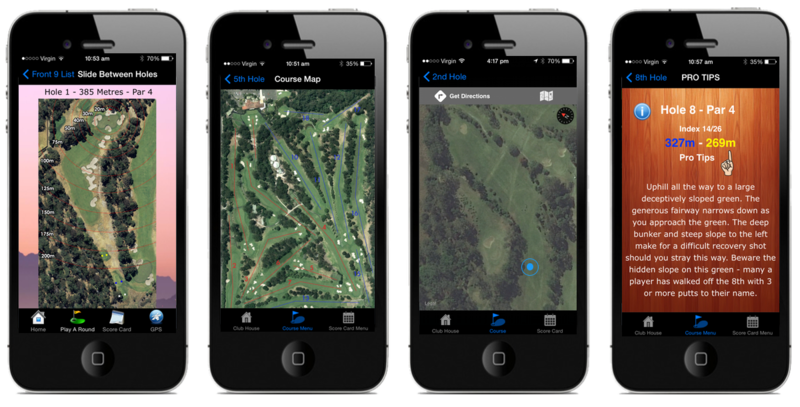 The GPS page shows the user's location on a satellite image on your course and the distance to the Green Pro Tips provide your Club-Pro's advice on how to play each hole (via text on each page or via audio files). Eagle versions of the iCaddy templates include links for clubs to include hole fly-Over videos. 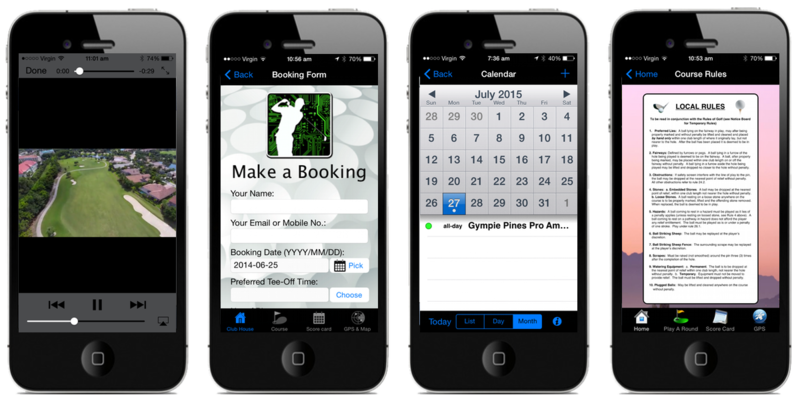 The Booking Form makes it easy to book a round, or link this page to your website's booking facility. A calendar that includes reminders for your club's events. A page to display the local rules and etiquette for your course. A page for contact details that links the App-user to your golf club (via phone, email, social media etc.). The Notes page allows players to make notes for future reference (e.g. the best way to play the 16th hole). Login into Facebook, Twitter or YouTube via the App. A page that displays Membership info. You can link this page to your club's website if preferred. 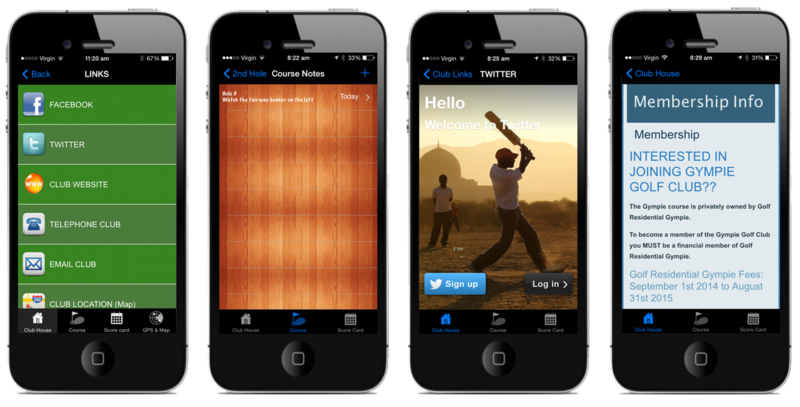 The Score Card has editable name fields for 2 players & totals the score for each player as required. Provide players with a direct link to your club's 'Drinks Cart' service for improved productivity. A food menu page with a link for players to place orders 'on-course' for their return to the clubhouse. A weather info page that links to a weather service provider website, or includes a HTML weather widget. The Notice Board contains general club info. You can update this page without having to republish your App. 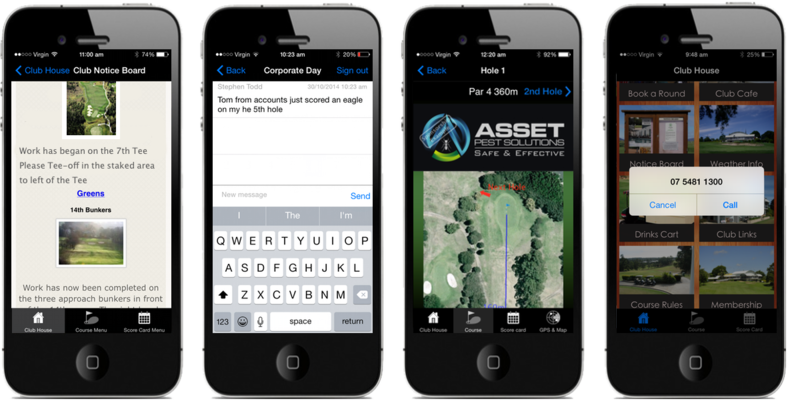 Messenger allows players & staff to send messages to all live App-users on-course. Include (optional) sponsor advertising in your App to create extra revenue for your club. 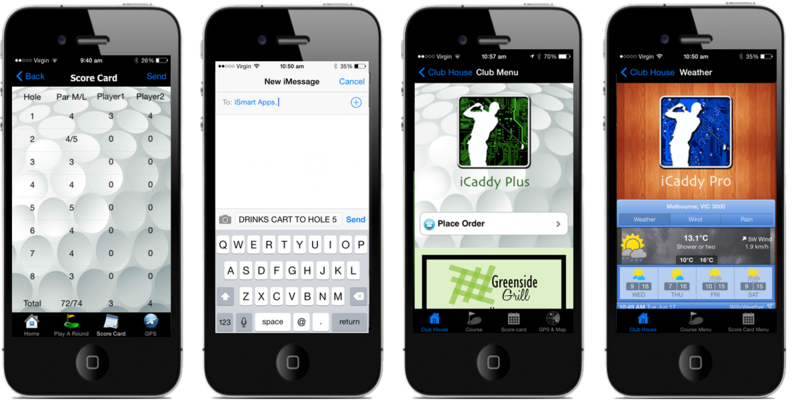 All iCaddy Apps include various link options to facilitate contact with your Drinks Cart or Restaurant / Bistro. The Login page restricts access to your club's App, or to specific pages in the App (e.g. Members only). 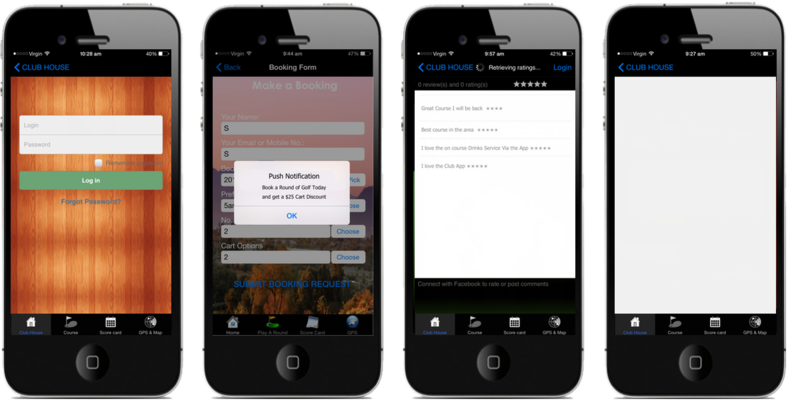 Clubs can use Push Notifications to send specific messages & alerts to all App-users. This feedback page displays ratings & reviews (posted on Facebook) by App-users. The Blank HTML page is fully customizable. Create any feature using the toolbox or raw HTML code. Note: Not all the features listed above are included in every iCaddy App template, however any feature can be added to any App if required.